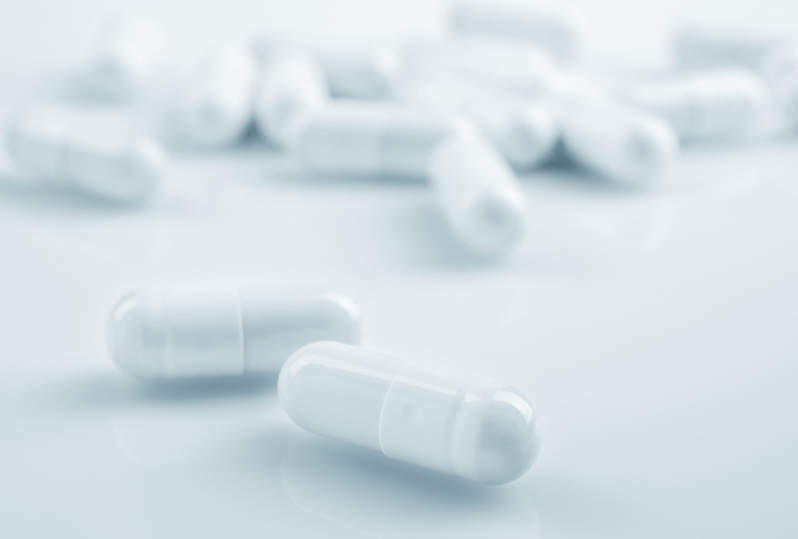 As part of our series of white papers tracking clinical trials activity across the world, GlobalData recently compiled a summary of global clinical trials in monoclonal antibodies (mAb). GlobalData identified 5,273 industry clinical trials with a start date between January 1, 2007, and December 31, 2016. The total number of new clinical trials grew by 115% over the 10-year period; the most prominent increase, 26%, occurred in 2015. In the report, a small number of Phase 0, Phase I/II, Phase II/III, and Phase III/IV trials were combined with Phase I, Phase II, Phase III, and Phase IV trials, respectively. Overall, Phase II trials outnumbered all other trials by contributing between 31% and 46% across the period. 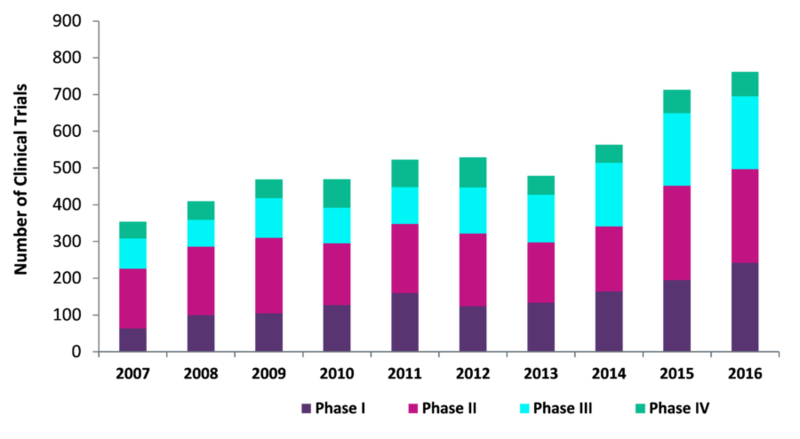 The share of Phase I trials started at 18% in 2007 and increased to 27% by 2016, as shown in Figure. Phase III trials’ contribution remained flat at an average of 24% across the 10-year period, whereas Phase IV trials decreased in share from 13% to 12% in the first and last years, respectively.